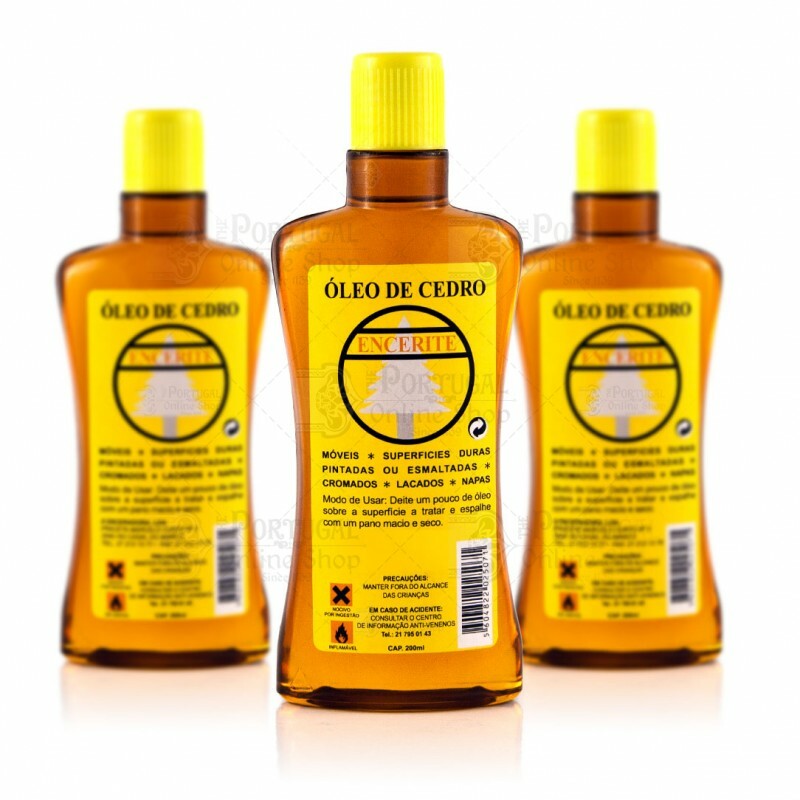 Portuguese Cedar Wood Oil from gold medal awarded company Encerite, excellent for all surfaces, such as wood, painted or glazed surfaces, chrome, lacquer and nappa. This traditional product does an amazing job in protecting your furniture. It helps to restore the surface natural shine and smell. High quality formula enriched with natural oils por perfect finish. In furniture or any other straight surface - spill a few drops of Encerite Cedar Oil on the surface to care and gently scrub it with a soft, dry cloth. 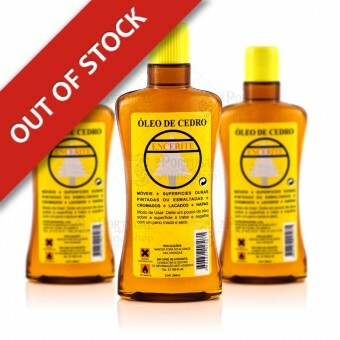 We at Portugal Online Shop take pride to actually be our own first customers in everything we sell, and to have the possibility to know such wonderful products and the people who produce them. 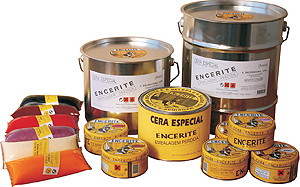 We have complete line of Encerite product for sale, from hard waxs, liquid waxs for easier appliance, acrylic wax, and high quality cedarwood oils.